Tim Bourquin recently interviewed five full-time traders about how they approach the markets and how to find great trading opportunities. The transcripts of those quick interviews are below. First up is full-time trader John Gilner. John Gilner was a successful business owner prior to becoming a trader but as he says, “Trading is a whole different animal.” He’s very successful now but it took him a while and he traded several different markets in order to find the one that worked well for him. He started with options but had trouble getting consistent results. Tim Bourquin: John, can you explain how you find good trades? John Gilner: Because I am primarily focused on index options, there’s a good measurement for that volatility and therefore, the price of the options of course is the VIX. And so, the basic principle there is you need to develop an ability to understand if options are priced high or priced low relative to the expected volatility of the underlying instrument. So, during the course of trading options, what I was always trying to do is sell expensive premium and buy cheap premiums. And so, you’re generally always looking for ways to buy cheap and sell expensive. In all of trading, you have to try to be careful not to think of it like you would think of a salary that you earn at a job because my experience at least, is that my profits are a lot lumpier from that. That’s in a general sense. Now, I think when it comes to options trading, that’s even more true because what you’re trying to do in options trading, particularly, well, it’s really true on the long and short side but particularly the short side where you’re trying to sell expensive premium. Those opportunities only come along so often. So, your profits are very, very lumpy in that case. Yes, you can make a living at that. The problem that I found with it is that in a market that can open up 3% or 4% down on an index, I’m talking about now, it’s real easy to get caught on the wrong side of it for reasons that are totally out of your control. In other words, if you’re a technical trader like I am, trading on the technicals during the day is one thing but having substantial overnight news risk and that type of thing is entirely another. And so, I think you can make a living out of it but my personality is such that I would rather be out of the market overnight when I don’t have any control and then use my ability to interpret the market actions and understand, “Should I go long? Should I go short? Am I going to fade the morning gap?” Or, “Am I going to sell a morning gap or buy a morning gap?” So, I think a lot of it comes down to what I’ve realized is playing to my own personal long suit and that is trading short term based on the technical. Tim Bourquin: How did you develop your trading discipline to avoid large losses and stick to your trading plan? John Gilner: I did have some trouble with that early on. So, there are two answers to it. One is the experience has taught me that you never change the rules or the assumptions underlying a given trade. Then, the other way I handle it is I use different accounts for strict swing trades. So, as an example, I have a day trading account where I do substantially all of my day trades and I have two other accounts that I use for swing time frame and that helps me because the swing trade, and this is very interesting as far as the psychology of it all goes. The swing trades that I don’t watch the P&L on, I have a much easier time staying in those trades because I don’t look at them constantly. I’m not looking at the P&L on whether I’m up or I’m down. I don’t see $1000 profit and I take it and I don’t see a $500 loss and get scared. So, what I do is I strictly swing trade those accounts and in the trading account where I do the intraday trades, I will also swing trade the same instrument there that I’m trading in the other account but I’ll make a point of not looking at it. I’ll make a point of not watching the P&L tick by tick by tick. And the other thing that I started to talk about is that experience have taught me that if you’re in a day trade and it’s going against you and you feel that temptation and we all feel it, we’re all human, and this is why the market acts the way they do. When you’re feeling that compulsion to start calling it a swing trade, I have learned. Boy. Have I learned the hard way that you just have to, as they like to say, rip the band-aid off and move on because it’s a lot easier to take a $500 than a $5,000 loss. My experience has been that most of the time, and I don’t have a percentage for you, but a vast majority of the time, probably 70, 80, 90% of the time, if my gut now is telling me that I should be out, I just need to sell it and get out because the vast majority of times, it gets a lot worse. Tim Bourquin: What kind of “homework” do you do to prepare for the trading day? John Gilner: What I do is I flip through hundreds, even thousands of charts on a regular basis and I don’t have a master list, so to speak. What I do is during the course of the day, every trading day, I watch how each sector, how each industry and how the leaders in those industries are behaving. Are they trading up? Are they trading down? Are they leading or lagging that sector on the market? And so, what I do is I develop a feel for what’s moving and why. The why behind it is important to understand. In other words, as it relates to, “Is there news? Is the sector responding positively to news and negatively to news? And what does that mean?” So, I watch the leaders, I watch the sectors and then within the leading sector, I flip through hundreds and hundreds of charts looking for the one or two or three, maybe four stocks that have the best looking individual chart within, say a strong sector. Then, what I’ll do is I’ll move those over on to a watch list and each day after the close, I’ll flip through this list and I’ll ask myself, “OK. In a strong market tomorrow, which of these represent the most likely long candidate?” And I’ll do the same thing on the short side so that at the end of each day, say an hour or two after the close, I’ve gone through hundreds and hundreds of charts and I’ve narrowed it down to, say 15 or 20 in total that represents my best, highest probability long and short trades and that’s what I’ll focus on the next day. The principle that I trade on – I’m a short-term technical trader and what that means is I’m looking at simply price, volume, and time and I’m looking at that across multiple time frames. So, what I’m looking for is, as a good example would be, looking for stock that’s in an uptrend. We’re talking about a long stock. An uptrend on both the daily and the weekly chart but whose intraday chart, say a five or 10-minute time frame, shows consolidation and a convergence of support and resistance level with those longer term time frames. So, for example, if I’m looking at a stock on the daily chart, it keeps pulling back to the ten, 25 range and I see on that ten-minute chart that it’s consolidating right above that level or alternatively consolidating just below a level and hasn’t quite broken through yet. What I’ll do is watch for that stock to consolidate in a nice tight range on the intraday chart and then break through on volume and that breakthrough of course typically comes from time during the day and what I’ll do is, that’s my entry, I will buy just as it breaks the short-term consolidation. I always manage my stocks just below that area of consolidation. I will watch for, on a break out like this, I’ll watch for it to be confirmed by volume because volume is what tells you if there is enough energy behind it. Is there substantial buying interest? Or is it something that’s popped up and no one showed up and then therefore is it more likely to sale. And so, an ideal entry is a very tight consolidation on a, say a 10-minute chart, and then when it’s one or two pennies above that consolidation area, if I see volume coming in, that’s my entry. So, I really try to get them right as they’re breaking out and the reason is for every little bit that you’re late, and that stock moves up without you, that’s additional risk that you have to take and that’s additional profit that you’ve given up and so that risk reward ratio, which is so important in this trade setup process, changes very, very quickly. So, it’s the precision of the entries that really I believe is key. I have the ability to find so many potentially good entries in the market but what would happen is, on any given day, I would have 15 or 20 or 25 alarms going off all at one time and I would miss all of them because you just don’t know where to focus. So, what I do now is recognize that to the extent of the market is one sided on the open. I’m just going to miss most of them and I all have two or three stocks that I like the charts the best and I will focus exclusively on those for the first five or 10 or 15 minutes of the day and try to do two or three quality trades in the first 10, 20, 30 minutes, maybe even the first hour and then realize that those other 15 or 20 or 25 that I didn’t pay attention to, if they move, I’m just going to miss them and that’s trading. That’s the way it goes. Stock traders know that getting a feel for how market makers and specialist move shares is critical to seeing the ebb and flow of the market. Chris Farrell is a former market-maker turned at-home trader and has a huge advantage in that he knows exactly how the market makers play the game. In our interview, he talks about how you can use his knowledge to make better trades. Tim Bourquin: Chris, can you explain your overall philosophy of trading? Chris Farrell: I always look the market in terms of, it is not fundamental and it’s not necessarily technicals that move the market. It’s supply and demand imbalances and typically what happens, oftentimes in the media, on a day when the market is up, they often say that there are more buyers than sellers and that’s what’s driving the market up. Well, that is not necessarily true. For stock to trade, there has to be an equal amount of buyers and an equal amount of sellers or the stock cannot simply trade. So, I view the market basically as a collection of buyers and sellers trying to transact and the market will adjust higher when sellers are able to get a higher price for their stock and it will adjust lower when buyers are able to get a better price for their stock. So, it is a constant process of negotiation that’s going on in every single stock, every second of the day as long as the market is open. So, within that framework, what I like to look for are temporary gaps between where the buyers are willing to buy and the sellers are willing to sell. In other words, a wide gap between where the buyers are trying to buy, which is the bid, and where the sellers are trying to sell, which is the ask. Now, as the markets have become more electronic and as we’ve moved from a market that traded in fractions to a market that traded in decimals. A lot of these gaps between the buyers and the sellers have appeared to narrow. You have to use more tools to view the situation. Now, luckily, there’s technology that is at the disposal of any active trader, which allows you to see the depths of the market and that gives you a more true indication of the supply and demand picture in the stock. The less liquid the stock, the more likely there are to be large gaps between where buyers and sellers are. Tim Bourquin: How do you make most of your trading profits? Chris Farrell: That is one of the most important questions in trading, obviously. There’s a concept called, and this is a relatively simple trading concept but, it is one of the most important things that a trader can learn especially trading in the New York Stock Exchange list of stocks. There’s a concept known as “clearing the order book” and what that means is that if you see a large seller in the market, if you are going to buy from that seller, you have to be sure that whatever price that that transacts at, that that clears the order book. In other words, that price is at a point where that seller’s entire order trades. So, I’ll give you an example. Imagine that the stock closed at let’s say $5 and five minutes before the stock is open, you see in your Level II screen that there’s a seller of 20,000 shares at $4.50. So 50 cents lower than where it closed. When you see that, it is not an indication that the stock is going to open at $4.50 just because that seller is trying to sell at $4.50. He’s putting a limit price on it. So he’ll say and I’ll sell for $4.50 but no lower than $4.50. So if there are, let’s say there is a buyer of that equal amount of stock at $4.75. So we have a seller at $4.50 and a buyer at $4.75 and the stock closed at $5. 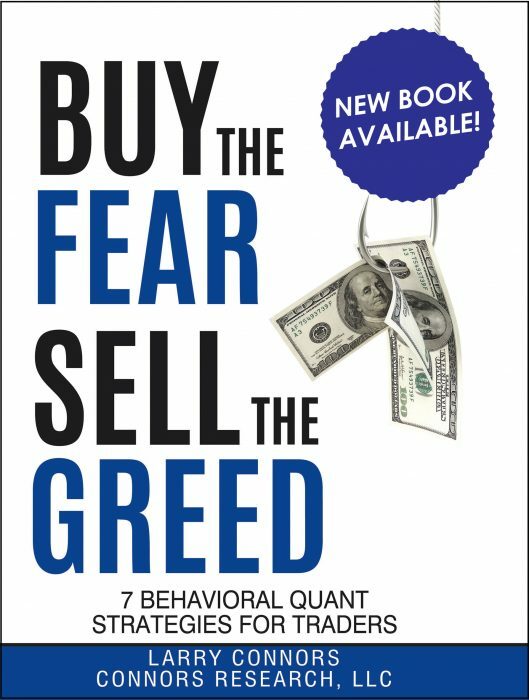 But when you see that, absent any sort of other buy and sell that might be queued up as a market order that no one can see, that stock has a very high probability of opening at $4.75 and that’s where that buyer and that seller are going to match and if it is for the same share amounts, if they both have the same amount of shares are willing to be bought and sold, what will happen is that isn’t a market clearing price. The order book will have cleared. So, once that seller is out of the way, it is likely that that stock had bounced back to where it closed the prior day absent other market conditions. So it’s not a guessing game by any stretch of imagination. A lot of this is based on just reading where the buyers are and where the sellers are and determining from that where the stock will open and then whether that large buyer or seller gets filled and is then out of the way. This is exactly how the specialist on the floor had traded for decades. They basically set the market clearing price and if there are not enough buyers or sellers available, they’ll risk their own capital to help clear that trade and they’re going to do it a price level that’s favorable to them. They’re not in the business of throwing their money away and this explains some of the exaggerated moves that you see, for example, during panic selling where you see stocks just get crushed on the open and then second they print down there, they’d have a drastic move the other way and a lot of times it’s based on the fact that the specialist is a large buyer on the open and then people see that print occur. It catches everyone by surprise and they can’t believe it and then it brings bargain hunters in and then the specialist who bought a large block of the stock and sells at a lower price level, then feeds it out for the rest of the day and makes some nice trading profit for himself. If you put buys in that are above where the specialist ends up printing that opening stock, you’re going to buy it with him at his price. It allows you to essentially bet with the house. The specialist is the house. He’s the odds maker; he’s the price setter, so you have to monitor what he is doing at all times. David Buffalo is a successful full-time trader in the mid-west. He uses a combination of neural net mechanical and discretionary trading systems to find opportunities in the market. Here he talks about the indicators he watches and what an ideal chart pattern looks like for his trading style. Tim Bourquin: David, what are you primarily using on your charts to spot good trades? David Buffalo: I primarily depend on one indicator. But in essence, it is a variation of the three-period RSI that’s been skewed by not only moving averages, but also it’s been skewed by an additional momentum component which will basically revert around either a two- or three-period moving average of that indicator to look for a key crossover. And by that, I mean what you’re actually trying to do is identify a pivot. And what do I mean by pivot? I tend to follow the Tom DeMark rule of thinking that let’s say for example you’re at a regional high. Then you want to have that highest high followed by two lower highs on either side. So, I think that’s what Tom DeMark calls a “first order pivot high.” I believe that’s right. The general point is, I’ve identified a highest high followed by two lower highs at a top, and at a bottom I have a lowest low followed by two higher lows on either side of that. Tim Bourquin: Sounds like a head and shoulders. David Buffalo: It does. Except that it’s very tight on a daily chart. It’s a three-bar pattern up, three-bar pattern down. Three up, and you’ve got the middle, with the middle bar being the highest high. Three down, with the middle bar being the lowest low. And the momentum indicator I mentioned at the beginning gets combined with that pattern to spot a trade. Tim Bourquin: You’ve mentioned the volume also in the past – you want to see increasing volume on those bars, those bullish bars? David Buffalo: Yes. I don’t have a component per volume in the Neural Net models that I use now, although one thing that my mentor wants me to work on is something that I’m literally going to order computers for today, once I get done doing tax stuff today. In essence, what I want to do, I’ll look for increases of volume that may occur around that pivot. Now many times, for example in over-the-counter stocks, many times you won’t see volume kick in until after the momentum has turned. And I don’t know why the heck that is. I think many times, traders or institutions may want to see a price that will hang around for a while, and then once they see it’s hung in there, they’ll actually go in and buy after that point. In many times, you may have a stock for example, where you’ve got, I think an average daily volume somewhere on the order of about 130,000, but there are going to be some days that it trades half a million shares, and some days it only trades 60,000. Well, how do you manage that? If you know the company’s decent and you know it’s got a decent average volume, then what do you do? Well, you have to position yourself around those pivot points so that once volume kicks in, it’s kicking in, in your direction and you enter on that short-term trend in either direction. Tim Bourquin: How do you calculate the risk / reward ratios on your trades? David Buffalo: Here’s what I do, and this goes back to the old Tom Joseph rule. I don’t know if you know who Tom Joseph is. He’s an oil trader that if you don’t have a trading model that will in aggregate trade with a $1.60 profit to a dollar loss. That is a 1.60 to one win/loss ratio in terms of dollars and it’s not 60% right, then you might as well just not trade because he’d developed literally an encyclopedia’s statistics trading oil, and trading other commodities, trading stocks. And that’s what he found was the basic rule. Now, what I do with my models, is I add another filter today and if I can. What I do is I look at those sets of number, the 1.60 to 1.60%. I also look for average win/loss ratio that is the average of all the trades. But in essence, what you want to do is to be capable of trading those in the right environment, but I want to use the same kind of measured techniques. I want to stay in it for as long as I see a price objective met, and then once I’m done, out of there. I’m going to wait for the next setup. I try two to five percent per trade if I can get it. Now many times, I may only get one percent of even half a percent or just maybe pennies. I will scale up my positions, and scale back my positions either based on success or on drawdown. I tried to use maybe a $500 or $600 which is fairly aggressive delta in the position that I trade. So in other words, in that first delta position, I have to have $500 of profit, then in the second delta position, I’d have to have twice that much or a thousand, third delta would be $1,500, and in essence, build my positions on that basis. Because literally, on a tiny position, I can afford to take anywhere from my $300 to $500 loss. That’s what the average true range volatility of my trades would generate for the worst loss I could have on a position on an average basis. What I’m trying to do is scale up by that kind of a delta, which is a fairly aggressive delta. What it means is, you don’t take massive risk on any one position you take. I take measured risk. My position sizes are measured. They never get any higher until I meet the profit objective. Tim Bourquin: How about stop losses? David Buffalo: Early in my trading whenever there was increasing volatility, I began to get stopped out of trades even more, and particularly in swing trades. So, what I had to learn how to do at that time was to increase, not decrease, the size of the stops to account for the volatility. And that’s something that I had to gradually adjust for and that’s why I use the average true range. I think you know what an average true range is. Hopefully people know what that is. Tim Bourquin: Sure. You’re welcome to define it. You never know who’s listening who might need it. David Buffalo: Well, in essence, the simplest way to define it is the average true range is, well let’s define true range. True range is the widest range between two bars in a given day from a high to low, and there’s different ways to measure it if you have an up day and a down day. And if you want to go to Investopedia or someplace like that, there’s a clinical definition in there. But bottom line is what I would look at is a seven-day average true range to measure against so that I could, basically, have sort of a dynamic stop. And in essence, at those turns, usually the average true range is at its highest width. So in essence, you have to have a wide enough variant of a stop, and typically what I would do would be to move the stop at a 200%, that is two times the seven-day average true range below the stop of the previous day that I entered the trade. And then in essence, that would be the lowest point. That would be the lowest stop. I would never move the stop any lower than that because that would be my maximum risk. And then after that, in essence, I’d begin to scale up and move that stop up that line until I got to wear my first price objectives, and then literally, I would move my stop to break even. And then play with the house’s money after that. Kevin Davey recently won a worldwide trading contest three years in a row. In the fourth year, he placed second. Now that proof that someone knows what he’s doing. Kevin writes automated trading systems and is very candid about how it all works. The first thing I wanted to ask him was how do you know when a black box trading system works in the real world, not just paper trading, and how do you know when you need to make a few adjustments or pitch it out and start again? He begins by talking about drawdowns and then gets into how he knows when a system is working properly. Tim Bourquin: Kevin, tell us your overall trading strategy. Kevin Davey: The way I typically trade is by developing systems and then rigidly adhering to those systems. Right now, I’m trading about six different systems for my personal account, and four of those are semi-automated where I will get signals but I’ll still have to enter them myself. And then the other two systems are completely automated where I don’t even have to be at the computer although I usually still am just to make sure everything works right. What I found is to reduce the drawdowns that occur, I like to diversify and try some different things. So, for example, I’m trading six different systems, so a couple of them are different types of systems with the stock indices, the mini S&P, the mini Russell, mini Nasdaq, so there are a couple systems there. And then I’m also trading some of the agricultural-type commodities and doing some spread trading. So, really what I found was the best way to reduce drawdown is obviously to have a good system in the first place, but drawdowns are kind of inevitable in any system. And so, by combining a couple of systems, what you get is you can use your capital a little bit better and also it kind of takes some of the sting out of some of those drawdowns. Tim Bourquin: That’s a good point, too, because I was going to ask you how do you know when it’s just a temporary drawdown and it’s just maybe four or five trades in a row that have gone bad, and historically maybe you don’t have that many but it’s still within the parameters. And when it’s completely off the tracks like you said, it needs to be revamped completely. Kevin Davey: Right. And I’ll give you an example of a system I started trading last fall. And right away when I started trading with real money, and this probably has happened to a lot of people, it started losing and had pretty significant drawdown right off the bat. And of course, when you’re just starting to trade a new system and it immediately doesn’t go your way, you start to think, “Well, maybe I did something wrong. Maybe, it’s over-optimized. Maybe, the markets changed.” And you think of all these things. And so what I did was I went back and looked at the previous history. I did some simulations. I used Monte Carlo simulations to predict a range of the expected performance in the future, and what I found is even this significant drawdown that there was a chance of this happening. It wasn’t a big chance, but it was say 10% or 20% chance of this type drawdown happening in this shorter period of time. So knowing that, I felt comfortable that there’s nothing wrong with this system. This is doing what it could do. It’s not of the range. And so I continued to trade it and sure enough within a couple weeks, it turned around and then just kind of took off. Tim Bourquin: So, how do you get new ideas for automated trading systems you want to try? Kevin Davey: Sometimes it’s as simple as reading a magazine article. So, for example, reading something out of Futures Magazine that something somebody has tried. And I probably won’t test the exact idea that they had but maybe something in that article will spur me to think, “Wow, what if I did this?” Another example of some systems that I just created and just kind of went alive with in the last month. There was this system where probably a couple years ago, I had read an article somewhere about something called the prisoner’s dilemma which is kind of like a game theory type situation. I won’t go into details about it, but it was about a game theory. And I just kind of found that when I come across these things, I kind of follow them away and I might have, at that time, run a small test on it and didn’t really see anything there. But I came with it about a month ago and kind of approached it a different way and lo and behold it turned out to work out pretty well, and it’s something I’m trading with real money right now. So, really it can come from a lot of different sources. One of the things I try to do is when I’m not thinking about trading or trading, I try to read books or do things that are kind of, I would say, on the creative side or something totally different than trading. So what I’m trying to do is to get input from, maybe, the other side of my brain, not the thinking part but the artistic part. And what ends up happening is sometimes these ideas just kind of pop in my head and then I’ll go and test it. And usually, unfortunately, probably for every 100 to 200 ideas I can come up with little variations, it takes 100 to 200 ideas to actually come up with a system that will work. Most of the stuff just ends up getting thrown in the garbage. Tim Bourquin: Now, that’s patience. 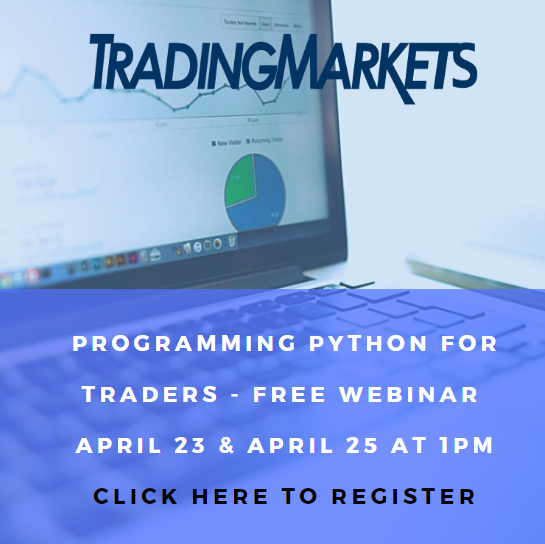 Even trading system programmers have to try a lot of different things in order to find something that works. So, could it be a system as simple as you noticed that every year on July first if you buy corn in the morning and sell it the next day at the close, you make 15%. I mean could that be a system in and of itself? Kevin Davey: Yes, it could be. Obviously, what I look for is try to do something the simpler the better, but that doesn’t always work out that way. Sometimes I start out with some pretty complex models and then try to make them simpler, so I go both ways. I actually, take simple things and make them more complicated, and take complicated things and make them more simple. But if things like seasonals, some of the systems in trading have some of that in them where they’re pretty simple systems, but they seem to work. And part of the reason, I think, some of these work is some of the ways that I control risk isn’t necessarily…I like tight stops, for example, but unfortunately, for me, at least the markets I trade doesn’t seem, at least the markets I trade doesn’t seem to like tight stops in the long run. It seems just to be a way to slowly grind away your money. If you a two-point stop in the mini S&P, for example, you’ll probably get stopped out a whole lot. So what I found it’s better to go with pretty wide stops, and I think that’s where some of the edge in my trading comes from is I take risks that probably a lot of other people don’t feel comfortable with. But in the long run, it works out better because you…there’s this noise level in the market and I kind of tried to put some of my targets outside of this noise level so that the market will just do what it wants to do and it won’t necessarily kick me out. Tim Bourquin: With those three years that you were in first or second place in the international trading contest (and doing really well this year), what does this say about mechanical trading? Does it say that all these computerized-based trading systems will, in the long run, always beat discretionary traders who are trading on gut feel? Kevin Davey: I’m not so sure about that. I happen to know a few of the people who won the world cup in years passed were more of discretionary traders and could actually do that better than most system traders. And I know for me personally, there’s no way I could discretionary trade because I’ve tried it, and I’m really good at doing the opposite of what would be a good trader. I sell at the low buy at the peak and if you did the exact opposite, I mean, maybe you could fade out my discretionary trading, so I don’t do that anymore. But it really depends on the person, and I think you have to end up doing something you’re comfortable with. So, for example, I’m very comfortable with numbers, with statistics, with data, with rigid rules, and I have enough confidence in my abilities to do that that once I come up with the system, I have the confidence to trade it. Charles Pennison is a full time, at home trader who makes his living trading the S&P E-Mini contract. In my interview with him, we start with the big picture and we quickly make our way into the specifics of how he finds good trades. He then talks about how he gathers a broad picture of the markets before diving into his daily trading. Tim Bourquin: Charles, what is the most important thing you watch when you are trading? Charles Pennison: Cycles. I really pay attention to cycles. You have the seasonal cycle, for instance, mid-March to mid-May is typically a bullish cycle in the market. Market structure meaning if you’re starting to get higher highs and high lows around mid-March, high probability trades would be in the long direction during that period. Then you get the monthly cycles and, of course, most people know about the end of the month bullish cycle when a lot of mutual funds and retirement funds are buying into the equity market. And then you have a shorter term cycle that I pay attention to first discussed by George Douglas Taylor back in the 1950. Tim Bourquin: Next, I talk with Charles about equilibrium zones, how he finds them, how he maps them on his charts and then how he uses them to support as support and resistance zones. We then talk about the timeframes he watches closely. We also talked about how he uses the NYSE tick indicator to look for changes in the short term trend. Charles Pennison: Well, first what I do on a 30-minute chart, I look for price clusters or those equilibrium zones and those zones will have well-define upper and lower limit. The upper limit will be resistance and the lower limit will be support. And you’ll find that the market will test both the upper and lower limits throughout the day, then I go to the one-minute chart. The 30-minute defines the overall support and resistance prices, and then I go to the one-minute chart too for timing. On a one-minute chart, I have the ES futures and I have the New York Stock Exchange tick indicator. And I use the tick indictor to show me where the market may be changing momentum from a bearish phase back to a bullish phase and vice versa. Tim Bourquin: Charles then talks about what other specific indicators he uses and how a few things put together draw a picture for him and shows him where his entry points will present themselves. As all great traders do, Charles has mastered the ability to have the market tell him when it’s time to trade and when it’s time to just sit back and watch. Charles Pennison: On my tick chart, I have a Bollinger band, a 50-period Bollinger band and the standard deviations I used are plus 1.5 and minus 1.5 standard deviations around that 50-period moving average. And I look to see when it’s hitting support, I then start looking at the tick to see if it starts trending back up, showing me that there are buyers entering the market. Also, I would look to see if there is what I call a bullish divergence; in other words, futures making a lower low while the tick is making a higher low that would be a bullish divergence. That means that the future overreacted somewhat and the momentum of the equity market is really changing back to a bullish phase. As the future is testing that support level, it will tend to test that support level several times and when it’s doing that it will make a pivot high. And then as it finish testing support, it will trade past that pivot high and then it will come back down, I call that the first correction after the bounce. It tells me on that first correction that I will enter a long trade when you get that first correction. I look for the tick to trade back down to between minus 200 and minus 400 and hopefully hit that lower standard deviation then. If it goes that far and hit that lower standard deviation then that is when I enter my long trade. Tim Bourquin: I then ask Charles to talk about he was able to go from being a trader where he was for the most part guessing with each trade to becoming familiar enough with the E-Mini market, to know intuitively where it was headed next. He also talks about something he watches as a leading indicator. Charles Pennison: It really comes out to training your brain to see the opportunities in the market because I can remember when I first started, I would look at the E-Mini futures chart, let’s say like a five-minute chart and it just look like mumbo jumbo to me. It would go up and then for no reason turn around go down, I could just see no reason why the market would just kind of jump around like a jelly bean, but today, when I look at a chart, I can see where the market has potential for changing direction and I know why it’s changing direction. So you start to see the organization and the chaos and testing, how does the futures market react with certain stock exchange tick movement. How does that react to the New York Stock Exchange advance decline line? You’ll find, for instance, the New York Stock Exchange advance decline line will typically lead the futures market by a day or two. In other words, the futures market if it trades down it will start forming a bottom, but before it trades up from the bottom, I would say a good day to two days, the advance decline line has already been trending up. So that’s a for instance. It used to mess me up a lot because I would look at the advance decline line and it would be higher than yesterday even though the futures was making a new low, and it took me quite some time to understand that the advance decline line actually leads the futures market by a good day to two days. Tim Bourquin: Some traders do homework after hours, some don’t. But I ask Charles what he looks at after the market closes to prepare for the next trading day. Charles Pennison: It doesn’t take me as long as I used to because I know what to look for, but I really just study the 30-minute chart. Sometimes I’ll also look on the cash market, the cash S&P 500 chart. I will look at the daily chart and I will see where, today where is the market in relation to the monthly open. Let me list all the highs and lows I look at. On the 30-minute chart, I look at the highs and lows of the equilibrium zone. I look at the high and low of the overnight market, I look at the previous day’s high and low, and I also look at the 9:30 Eastern Time open line. These prices will typically act as support or resistance for the futures market. Just from experience, I’ve observed that and those are the times where when a market approaches them, I’d start to pay attention, I want to see if the market is going to bounce off of them or trade through them and that will determine how I will enter a trade. For some reason, like a monthly open price, the market will trade away from it in one direction or another and a lot of times in the middle of the month, it will come back and test that open price again and again it will either bounce off of it or trade through depending on the type of market you’re in. For some reason, it will act as support or resistance from time to time. Tim Bourquin is co-Founder of TraderInterviews.com, a website where he discusses trading strategies and methods with all types of successful active traders. Trade ETFs with confidence everyday. Click here to access our powerful custom scans and get a list of today’s highest rated ETFs.